While some investors view precious metals as a short-term cyclical speculation, there are actually three important reasons for including precious metals in every investment portfolio. These are: strategic asset allocation, hedging and tactical asset allocation. Strategic asset allocation is a method used to fully diversify investment portfolios by properly balancing asset classes of different correlations in order to maximize returns and minimize risk. While many investors believe their portfolios are diversified, they typically contain only three asset classes – stocks, bonds and cash. Real estate, commodities, precious metals and collectibles rarely form part of most investors’ portfolios. With only three asset classes out of a total of seven, such portfolios are clearly not adequately diversified. A recent study carried out by Ibbotson Associates,Portfolio Diversification with Gold, Silver and Platinum, noted that, since 1969, stock and bond correlations have increased and, contrary to popular belief, a mix of these will not result in a diversified portfolio. Today, most portfolios lack the negatively correlated asset classes – real estate, commodities and precious metals – necessary to achieve full diversification, and as a result are exposed to risk and volatility. From 1973 to 1984, a high inflation period, precious metals were the top-performing asset class, and the study concluded that precious metals provide an effective hedge against inflation. Precious metals were the only asset class with a negative average correlation to the other asset classes, the basis for diversification. 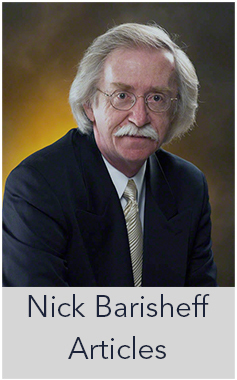 The Ibbotson study concluded that, by allocating from 7 to 15 percent of a portfolio to precious metals, returns would increase while risk decreased. These conclusions were not based on assumptions of a bull market in precious metals or a bear market in financial assets; they were simply based on a continuation of the returns and levels of inflation that have been prevalent recently. Hedging is a strategy used to offset investment risk; the perfect hedge eliminates the possibility of future losses. The old Wall Street saying, ‘Put 10% of your money in gold and hope it doesn’t work’, succinctly summarizes the hedging attributes of precious metals. And in today’s economic climate, there are plenty of risks to hedge against: currency exchange declines, loss of purchasing power and ‘Fat Tail’ events. Currency crises have been occurring on a regular basis since 1971 when US President Nixon ‘closed the gold window’, and, globally, currencies were no longer backed by gold. 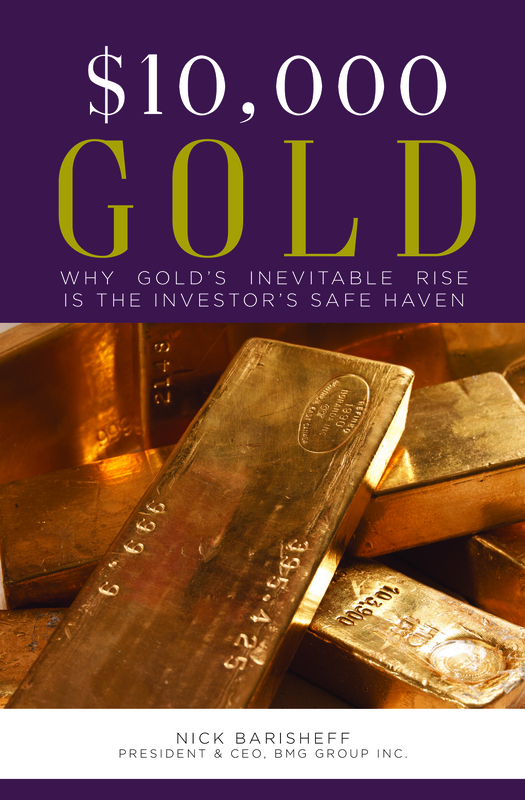 When confidence in a currency wanes, people tend flee to the safe haven of precious metals. Perhaps most famously, the gold price exploded from 75 marks per ounce to 23 trillion marks per ounce in the 1920s Weimar Republic of Germany. Mexico experienced a currency crisis in 1995, and the peso declined by about 50% against gold in approximately three months. During Indonesia’s currency crisis of 1997, the rupee lost 82 % over a one-year period. In Russia’s 1998 currency crisis, the ruble declined by 60% in just one month. In Argentina’s 2002 currency crisis, the peso devalued to 22 % of its previous level. A currency crisis is typically triggered by excessive growth in the money supply or unsustainable government debt. Is the world’s reserve currency, the US dollar, vulnerable? Total US money supply in 1971, when President Nixon ceased dollars-to-gold convertibility, was approximately $800 billion. Last year, the annual increase in M3 was more than $800 billion, bringing the total US money supply to $10.2 trillion. In other words, the US now has annual increases in the money supply equal to the entire money supply of 34 years ago. If this continues, the result will be hyperinflation and, eventually, a currency collapse. Meanwhile, the rising price of gold is acting as a leading indicator for troubled times ahead, signaling a growing non-confidence vote in a government’s monetary policy. An increasing money supply leads to the steady erosion of purchasing power. Based on published CPI figures, both the Canadian and the US dollar have lost about 83% of their purchasing power since 1970. To appreciate how precious metals preserve purchasing power against inflation, consider that in 1971 a compact Chrysler cost about $2,300; today, the price is $14,000. A starter home was $24,000; today, it is $236,000. The Dow Jones stood at 890, compared to 10,500 at year-end 2005. As for gold, it was $35 per ounce, compared to $513 at year-end 2005. If you convert these dollar prices to ounces of gold, you see that they have actually declined. For instance, the car that used to cost 66 ounces of gold in 1971 now costs only 30 ounces. The house that cost 703 ounces of gold now costs 431. In fact, you can buy almost twice as many cars or houses with your gold. Even investing in equities costs less today in gold terms. In 1971 the Dow Jones was 25 ounces of gold, while today it is 20. The third hedging benefit provided by precious metals is protection against a sudden, unexpected financial crisis – a fat tail event. Examples of fat tail events are war, terrorism, natural disasters, health pandemics and systemic financial risks such as a derivatives accident, bankruptcy of a major bank or a major corporation, defaults on bonds, derivatives contracts, insurance contracts and disruption of oil supply. When any of these occur, traditional financial assets often suffer while the price of precious metals tends to rise dramatically. While most investors regard insuring their homes an absolute necessity, their investment portfolios are often completely exposed and ‘uninsured’ – lacking any precious metals allocation. The bull market in precious metals began in 2002, and entered its second phase in the summer of 2005. Prior to that, the rising gold price simply reflected the US dollar decline. Since then, however, the price of gold, silver and platinum has been increasing in most currencies, including euros, Swiss francs, British pounds and Japanese yen. From a tactical point of view, portfolios should now be rebalanced so they are overweight precious metals in order to take advantage of current market trends. The main indicator confirming this trend is the Dow:Gold ratio, a factor that indicates when to be overweight precious metals and hard assets, and when to be overweight financial assets. In 1999 the Dow:Gold ratio peaked at over 40, before declining to its current level of about 20. When the ratio is rising, as it did from 1945 to 1960 and again from 1980 to 1999, it is prudent to be more heavily allocated to financial assets with lower allocations to precious metals and hard assets. When the ratio is declining, as it is today, the opposite investment strategy applies. In our current economic climate allocations to financial assets should be reduced, while allocations to precious metals and hard assets should be increased in order to maximize returns. Some investors think the precious metals bull market is well advanced, and they have missed the boat. However, when we compare the current market to the bull market of the 1970s, it becomes apparent that we are still in the early stages of what could be a 20-year bull market. As the world’s reserve currency, the health of the US dollar impacts all economies, currencies and investments. The US economy is currently propped up by a mountain of debt. In 2005, the federal debt increased by $571 billion, reaching the congressionally set debt ceiling of $8.2 trillion. If the present value of unfunded Social Security and Medicare obligations is taken into account, it now stands at $49.4 trillion – $160,000 for each American. The ballooning trade deficit has increased annually since 1975. Today it is approximately $781 billion, meaning the US must borrow over $2 billion each day to fund its consumption of imported goods and commodities. The US now absorbs over 80% of the entire world’s savings in order to maintain its consumption. Since the US has outsourced much of its manufacturing and imports the majority of its oil, even a major decline in the value of the dollar will not reverse this growing trend. The US trade deficit has become systemic. Total US debt as a ratio of GDP has surpassed the previous high set in 1933, when it stood at approximately 255% of GDP. Today, the number is well over 300% of GDP. The fact that foreigners hold a growing percentage of this makes matters worse; almost 50% of US government Treasury bills and bonds are held by foreign entities. If foreign investors, tired of funding US budget and trade deficits, lose confidence in the dollar, a massive exodus from both it and from US financial assets will ensue. The result would be a US financial disaster. Since the US dollar is widely viewed as the last stable currency, much of the money fleeing out of it will have nowhere to go but precious metals. A number of central banks have already announced they intend to diversify out of US dollars. Since aboveground global supplies of precious metals are currently valued at less than $2 trillion, and global financial assets exceed $70 trillion, the prices of gold, silver and platinum will increase dramatically if there is a shift in sentiment and demand explodes. Considering that precious metals are already rising against all currencies, this trend may have already started. We are at a juncture where oil production is about to decline just as demand, particularly from China and India, is about to explode. Numerous studies suggest, and many experts agree, that the world is close to reaching peak oil production. The result of increasing demand coupled with dwindling supply will be an upward-spiraling oil price that drives precious metals price higher while negatively impacting financial assets and global economies. Throughout history there has been a positive correlation between the prices of precious metals and oil. As the price of oil increases, so does that of gold. As gold rises, silver and platinum follow. Traditionally, oil trades at about 15 barrels per ounce of gold. Today, oil trades at about 8 barrels per ounce. Either gold is undervalued, or oil must decrease in price to about $30 per barrel, an unlikely event. At the normal 15-to-1 ratio, gold today should be priced at over $1000 per ounce. One of the most important things to consider when investing in bullion is whether it is fully allocated, segregated and insured. Unless this is the case, there may be multiple claims against the bullion, or it may not even exist. Many precious metals investments are nothing more than promises to deliver bullion at some future date. Bullion investments must precisely track the price of bullion, and not be influenced by the equity markets. If the form of investment is dependent on a counter-party and the counter-party defaults, all the benefits of holding precious metals could be lost at precisely the time when they are needed the most. 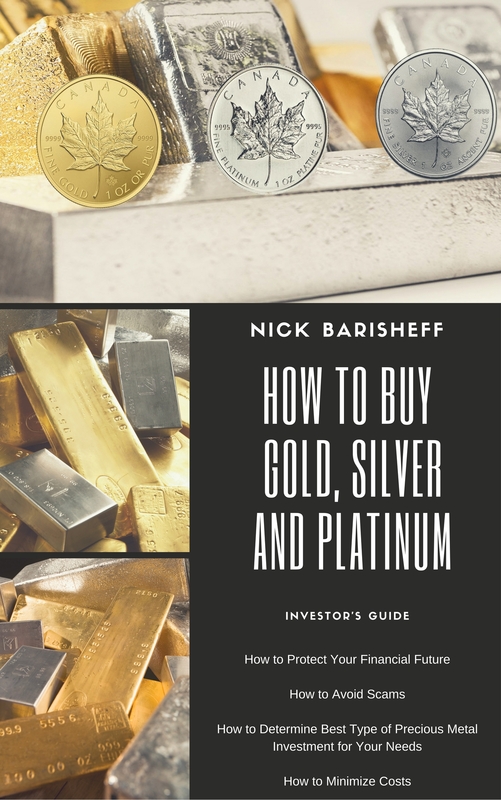 In summary, a portfolio allocation of 7 to 15 percent in precious metals is justified simply from the strategic and hedging points of view. If you take into account current vulnerabilities in the global financial system and the implications of peak oil, a much higher allocation is appropriate. The Dow:Gold ratio is an accurate indicator of the trend toward precious metals, and clearly confirms the need to be overweight in that sector at this time. *All dollar amounts US, unless otherwise indicated.